Just over a year ago since XIII released their debut album, North of Nowhere (Review of which can be found here). 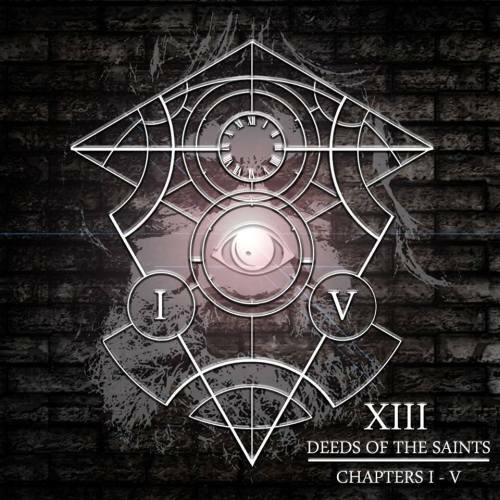 The Hull 3 piece metallers are back, this time with their new 5 track EP, Deeds of the saints: Chapters I – V, which is the first part of a 2 EP set, which combined will complete the Deeds of the Saints package. Opening things up with the 7+ minute We Are Everywhere. It’s clear from the first few minutes that this is not just an extension of their debut but more of a complete transformation as far as song writing, skill and production go. The song itself is a barrage of riffs, booming bass, blast beats and aggression, the only thing that stays in tact from the earlier release is the vocals of Dan Murray, this could lead to a marmite type situation as I can imagine people will either love it or not care for it much as he doesn’t sing, growl or scream… He shouts aggressively and in a way, this is what separates XIII from a lot of bands and you can instantly tell who you are listening to from the first lines of the song. It’s also worth mentioning that if the infectious riff halfway through the song doesn’t get your head nodding then you’re clearly not a metal fan. As mentioned earlier, the production on the EP compared to North of Nowhere has drastically changed, whereas North of Nowhere had more of a defined, almost clean production to it, this has a very raw, almost live sound to it and if anyone has ever seen XIII live then you’ll know this is not a bad thing whatsoever and this really suits the new sound of the band. Whether this kind of production suits everyone’s taste may be a different matter but I am pretty sure this is exactly the sound that the band went for. Narcotics another 7 minute epic is the second track up and out of all the songs on the EP, this is the only one which possibly could have possibly been featured on their debut. The song has a more old school thrash vibe and riffs to it and it’s also a reminder that XIII haven’t totally dismissed their thrash roots as this reminds me a little of Master of Puppets with its fast riffs, slow centre parts back into the thrash assault. Dan Murray‘s guitar solos on this EP, especially compared to some off of their debut seem a lot more focused and fit in a lot better and a played to a higher standard. Acta Sanctorum is the third and if you thought XIII were just a band based on fast songs then think again. This is a stoner and doom metal song of the highest order but without losing the XIII sound and despite it being the slowest, it’s by far the angriest song on the album both musically and lyrically. The song starts with a bluesy type riff before breaking out into a dirty beast of a riff. The chorus is possibly the catchiest guitar riff I have heard in while, think of it as if Down were jamming with ZZ Top, then you should get the idea. The thing I am noticing about the EP is that none of the songs are sounding too similar to each other or like anything they have recorded before but they all fit together nicely as Deliverance carries on that tradition. It’s a pretty mid paced song, that in parts features some rather subtle but nice piano parts mixed with bassist James Oxtoby‘s vocals on the pre-chorus’, that is until you get to the mid section and it explodes into a thunderous mix of riffs and double bass madness from sticksman Alex O’Dwyer. Its clear that all of the band have upped their game on this, having said that, there are a couple of parts that the vocals seem a little strained and worn but having gone with the live, raw production they pretty much get away with it. We have all heard that saying ‘save the best til last’, well that’s exactly what XIII have done here. Not only is this the best written song on the EP, its possibly the best written song XIII have ever come up with and unlike anything else the band have recorded. Nothing Is True… Everything Is Permitted is the perfect way to end this quite frankly awesome and relentless EP. The song is not particularly a fast song, nor does it have the riffs which match that of Narcotics or Acta Sanctorum but what it does have is many sections, clean and dirty which all blend all together to perfection. The guitars, especially on the cleaner parts and layered upon one and other which creates a really nice atmosphere for the song. How this works live only being a 3 piece I have no idea but I am sure they’ll come up with something. The ending of the song as was Forever off their debut ends in a classy fashion with the piano parts and makes you want to listen to the whole 35 minute EP again and again. Deeds of the Saints: Chapters I – V‘ is a prime example of a band who have stepped up their game tenfold and the stigma of XIII been thrown simply been into the Thrash category can be tossed right out of the window. This is not a thrash record, this is just a fantastic collection of Heavy Metal songs from a band who don’t pretend to be something they’re not. Teras are a relatively new band to the scene but have already being tearing the scene a new one. Following a few line-up changes and a change of name, Teras have began making a name for themselves on the Yorkshire. 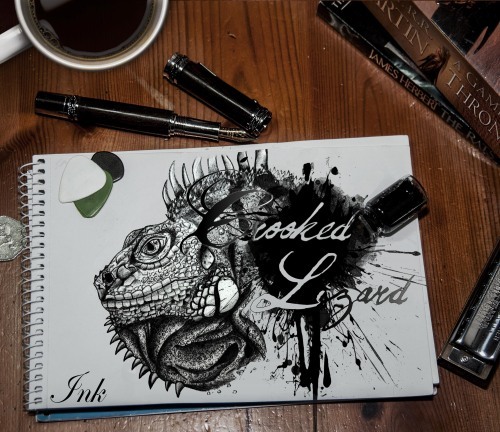 With support slots confirmed for acts such as Gone Til Winter and Finnish death metal band Re-Armed, the band recently released their debut EP. The crushing, forceful riffs that make up Sovernguarde open up the EP. The sound of bass cuts its way through the track like a knife through butter, supporting the cumbersome weight of the guitars and dancing alongside the drums. The vocals though bestial and tinged with aggression they don’t sail in the right direction over the waves of domineering guitars. The introduction to Outlaw is memorable enough but it doesn’t sound like a lot until the full driving force of the track comes into full effect. The drums and bass hammer down throughout the song laying a solid foundation for the guitars and wolfish vocals to tear the listener’s ears a new one. Scythe Of War continues down a similar vein to the previous track. Though not quite as domineering, it still is a song that will get the blood boiling and fists pumping. The vocals shine the most throughout this track, keeping that vicious bite in the mouth of the music. Triggerman finishes the EP with precision and a sound that means business. The beast-like vocals are flanked by a weighty assault of guitars, which in turn are reinforced by the acute use of bass and drums, allowing for destructive finish to Infection: Terror Metal. For a debut release, Infection: Terror Metal displays the potential and talent that Teras have. Whilst they may have only been on the live circuit for a few months, the EP makes it sound as if they’ve been on the scene for a decade. The EP paints a bloody and grisly image of the band’s sound with the colours of heavy, brutal and violently metal elements.